In this modern era of matrimony in which we currently live, there aren’t really any hard and fast “rules” when it comes to planning your wedding. Yet, if we had to pick one, we’d say that the best guiding principle for wedding planning is to include plenty of personal touches to make your special day uniquely yours. 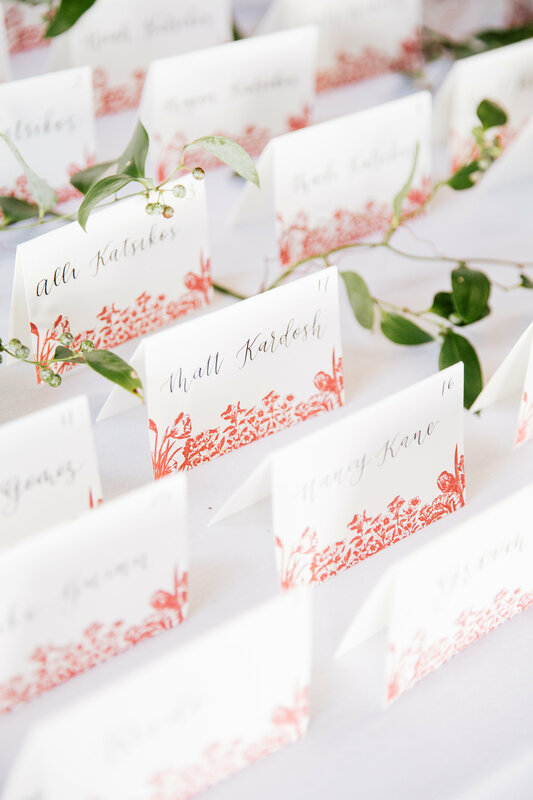 Beyond wearing your grandmother’s ring, dancing to “your song,” or serving your favorite foods, calligraphy is a lovely way to personalize everything from paper goods to day-of signage. A hand-lettered invitation or custom cocktail menu conveys an intimacy and thoughtfulness that resonates on a deeper level than pure aesthetics. 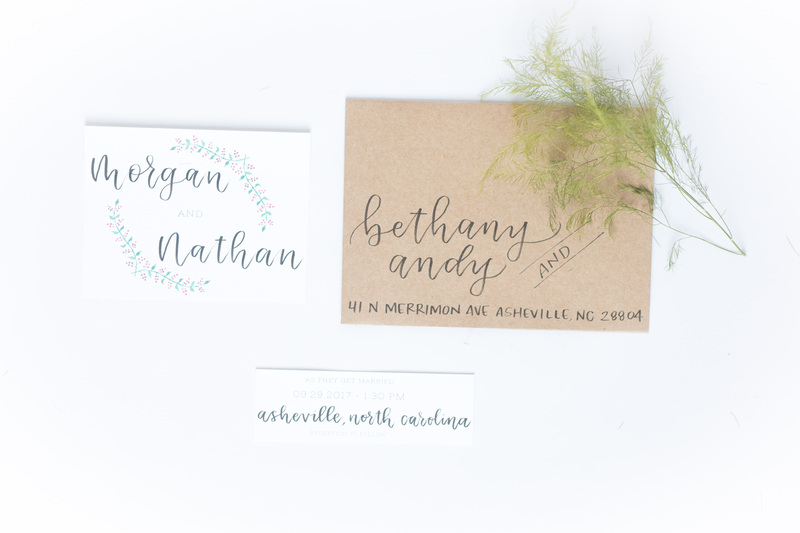 (Because we all know a hand-lettered invite is sooo pretty to look at!) 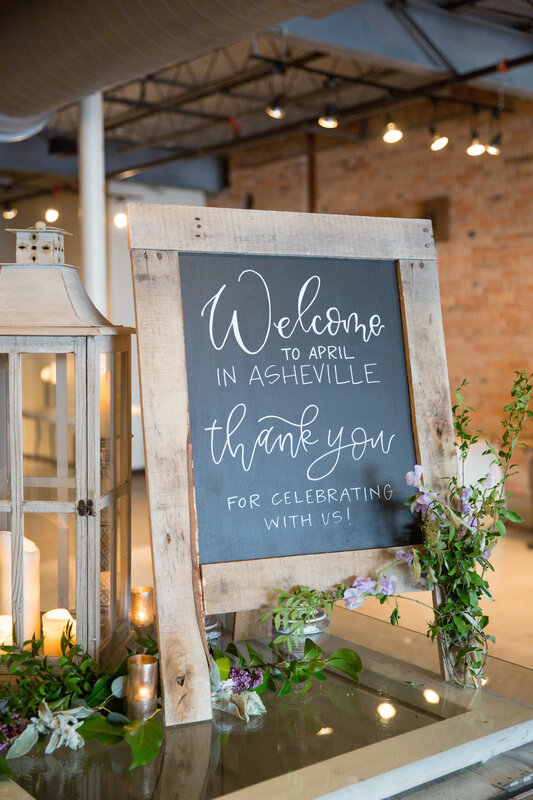 Bethany Thames of Joy Unscripted is a premier calligrapher here in Asheville, creating original hand-lettered items for couples, wedding venues, special occasions, and personalized gifts. 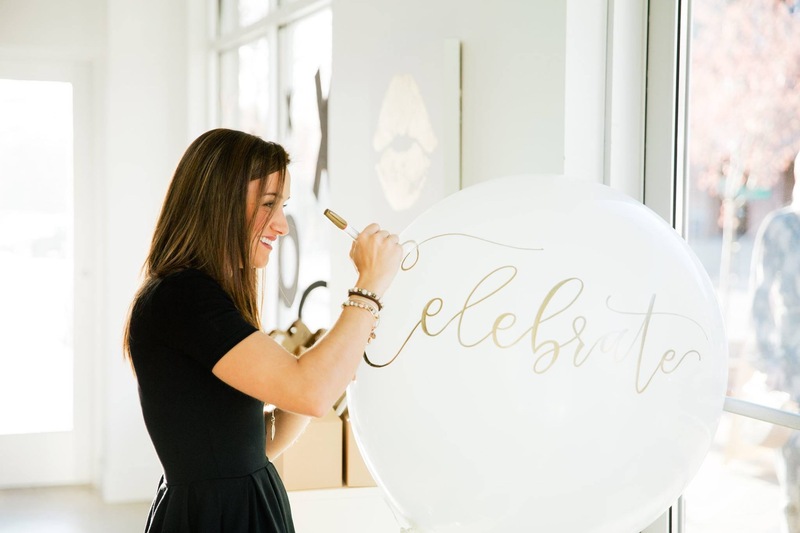 Her flare for original concepts and gorgeous lettering has set her apart in our local wedding industry, and we know she’s just the right gal to bring engaged couples up to speed on what they need to know about calligraphy! 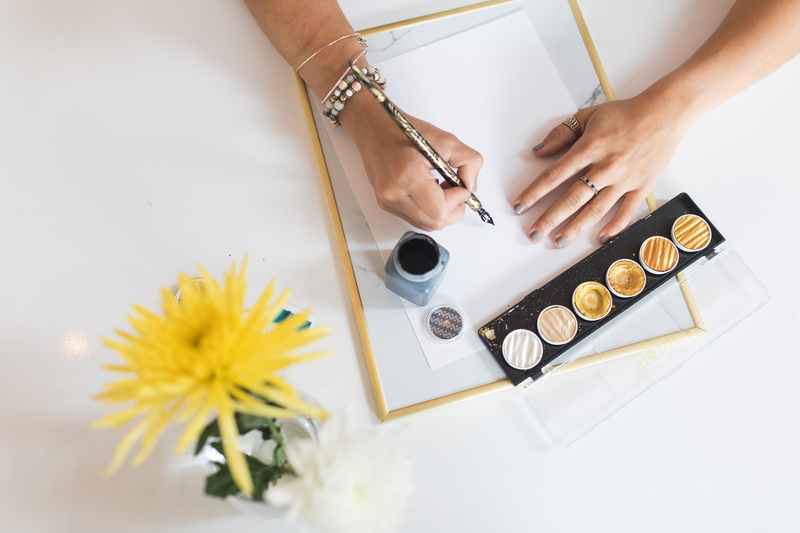 From her top five need-to-know tips to taking on a DIY project, Bethany covers all the basics in this comprehensive guide to wedding calligraphy. Calligraphy can transform a simple text into something astoundingly elegant. I love using this revitalized ancient art form to seamlessly tie together details for brides and weddings of all styles. Book early! Calligraphers’ calendars fill up just like those of popular venues and photographers! Aim for four to six months in advance if custom Save the Dates and invitations are on your wish list. Envelope projects alone require a minimum of a two-week turnaround time just for calligraphy. Hand-lettering encompasses a variety of lettering styles; be clear about which style it is you want! 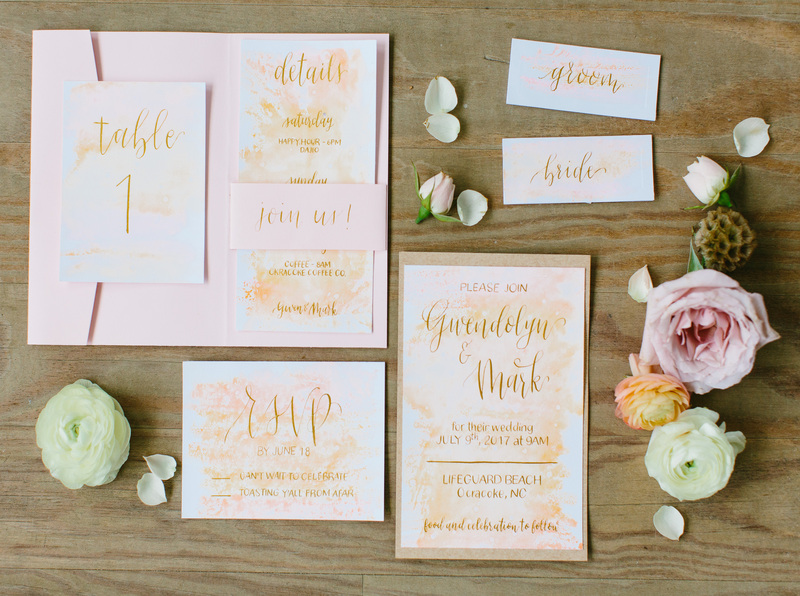 Create consistency throughout your wedding design by using the same calligrapher for paper goods as day-of signage. Set a budget and stick to it! 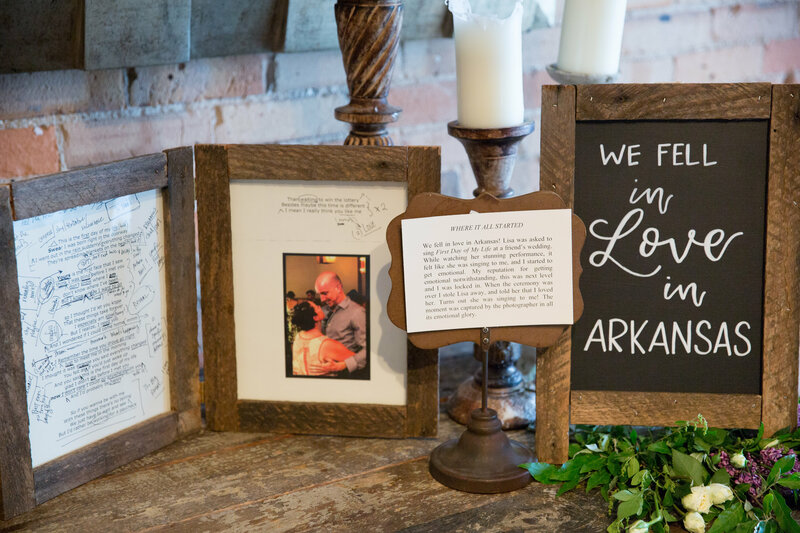 Couples can work with their calligrapher to narrow down their wish list to the have-to-haves. Remember: you don’t have to get everything. Bonus tip: Communication is the most important part of the process! Get to know your calligrapher as early as possible! 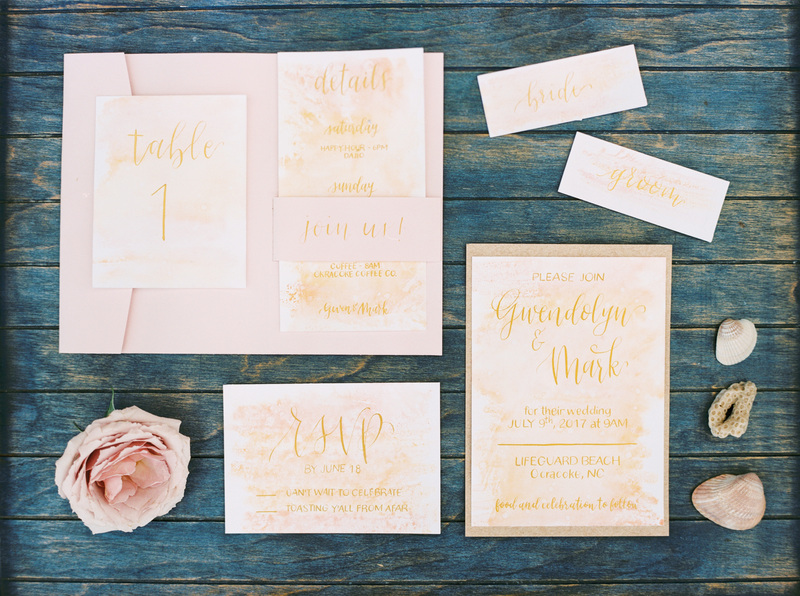 Chatting with brides, grooms, their families and friends as early as possible is a fantastic way for a calligrapher to get a feel for the relationship and personality of the couple. This becomes handy during the design process — a calligrapher may have suggestions or ideas they pulled from their interactions with the couple that they may not have explicitly requested or thought of! When sharing examples of styles you “like,” don’t forget to include samples of things you DON’T like! That way time won’t be wasted designing something you have zero interest in. Quick responses to small questions are really helpful. 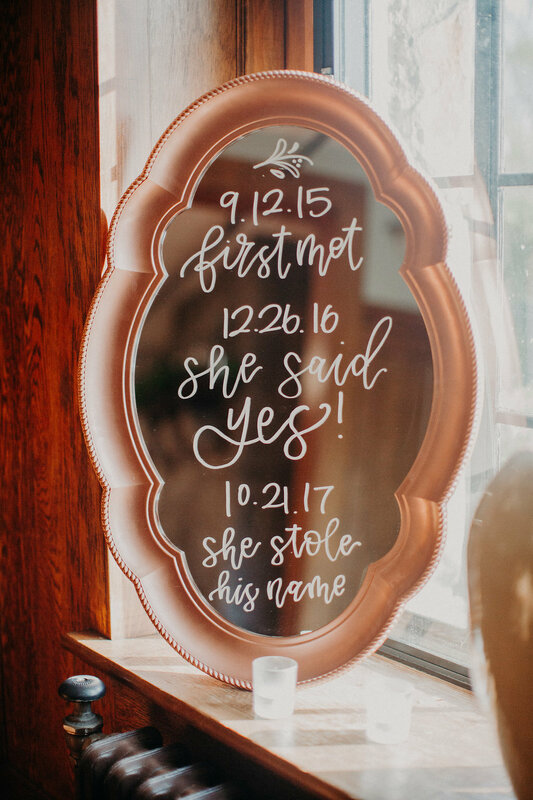 A calligrapher’s work can be very nuanced, so the quicker couples weigh in with a “yay” or “nay” can go a long way to staying on schedule and getting the result they desire. Be patient! Designing does take time. Calligraphers can typically provide general estimates of when to expect sketches, drafts, and proofs, but we are also human! 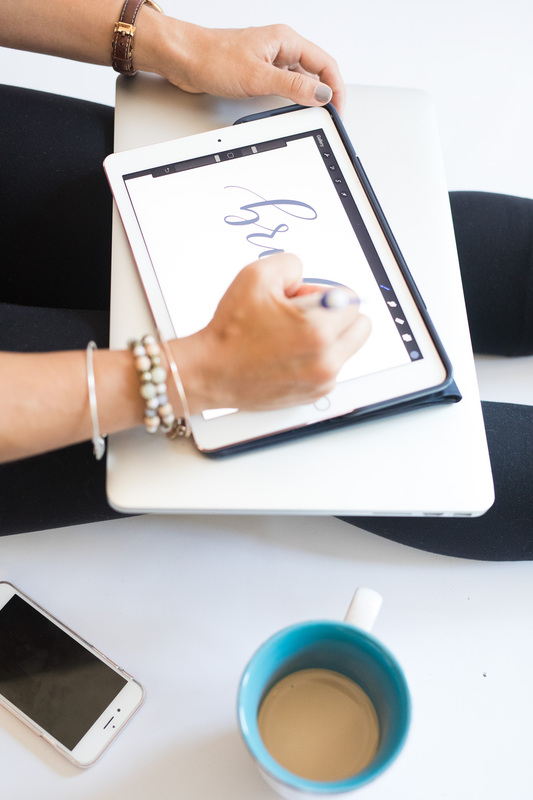 While there’s no excuse for unprofessionalism, certain designs can take a little longer than expected, especially if edits are continually made. *just not all at once In this modern era of matrimony, calligraphy is increasingly seen adorning at least one delightful wedding detail. 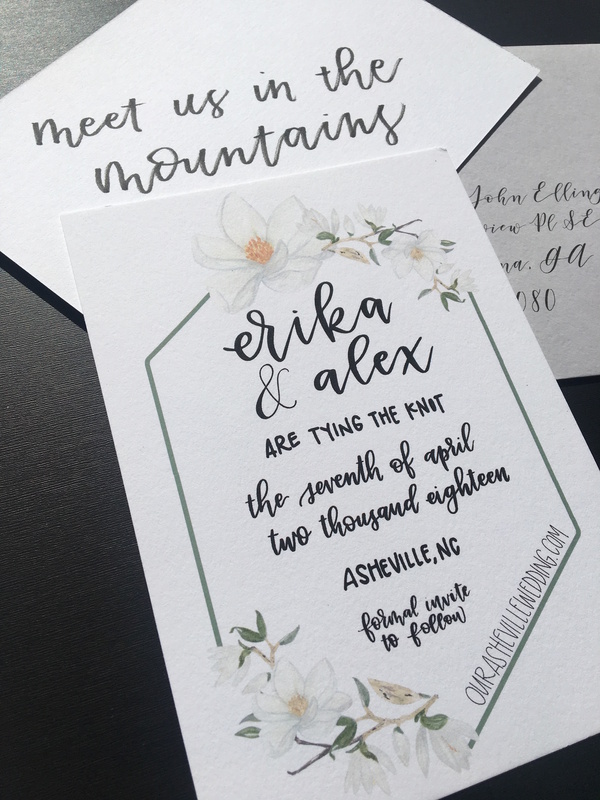 While invitations and other wedding paperie are popular items to have hand-written, there are lots of others items you can feature for your special day with a calligrapher’s custom design! Signage: Welcome, Menu(s), Gifts & Cards, Favors, Wedding Hashtag, Instructions, Mr. & Mrs., and more! Planning a wedding is certainly about all the fun, pretty stuff — the dress, the flowers, the cake. It’s also about scheduling…like, a lot. Booking your vendors and then establishing a working timeline will take so much stress out of the planning process. Knowing when vendors expect certain things from you — and vice versa — is the key to getting to the altar without majorly stressing out along the way. 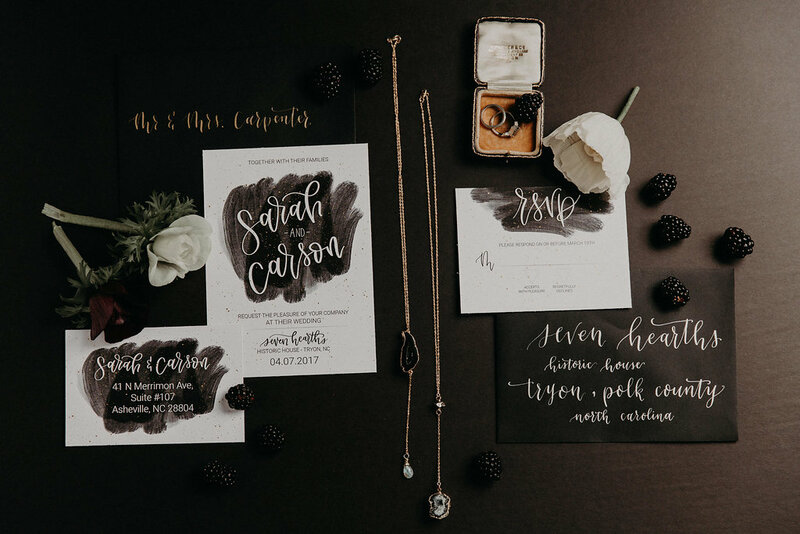 Here is a quick rundown of a calligrapher’s timeline when it comes to four major categories: Save the Dates, invitation suites, envelopes, and day-of signage. All you need to know before you send your Save the Dates are your wedding date and venue! Well…and some idea of what you’d like them to look like. 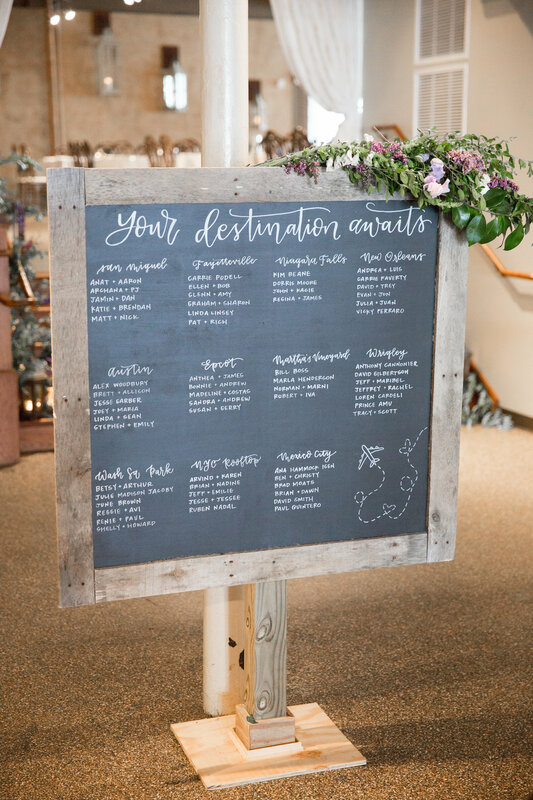 Like all wedding vendors, calligraphers appreciate couples sharing their favorite Pinterest images to aid in the design process. Yet, we have to caution them on getting overly attached to an exact look — we cannot copy anyone else’s work, and we need to have some flexibility in the design process to make it authentically ours. After nailing down the design, couples can expect to receive a first draft of rough pencil sketches to convey the general idea. From there, they can fine-tune details, tweak colors, and edit the included information. Next, the calligrapher will submit a final proof for approval. Remember to build in printing and shipping time into your overall timeline! Be sure to confirm whether or not your calligrapher offers in-house printing. If not, ask who they recommend and contact the printing company to ascertain their print and ship times. You’ll need all of that information when deciding when to start the initial design process to ensure the Save the Dates arrive on time. Couples can expect a similar process for their invitations aside from the fact that they’re typically much more formal than the more playful Save the Dates, and far more detailed. “Invitations” often mean invitation suites, a collection of separate items that all arrive together (more on that below). 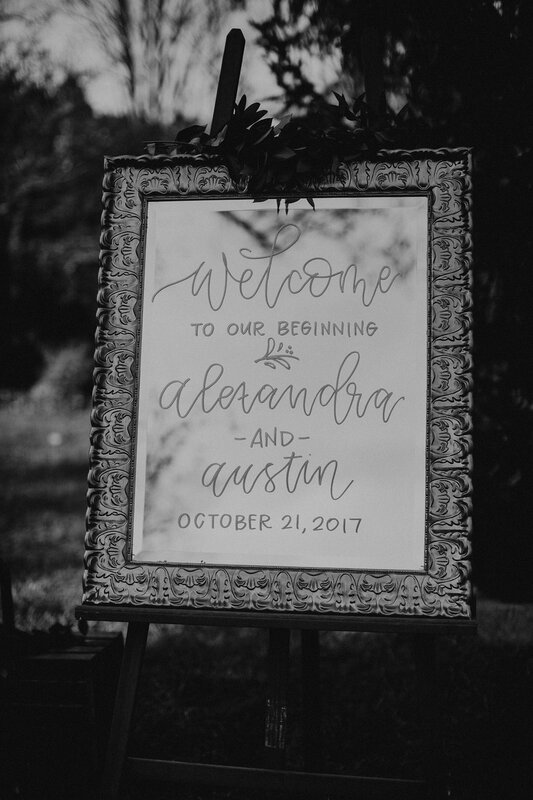 Calligraphers prefer couples to be specific and upfront with what they would like included from the start in order to stay on time and on budget. Usually it’s okay to add things along the way, just know that it could delay printing and delivery of your items, and will create additional costs. What to Include: A standard invitation suite includes the invitation itself, an RSVP of some sort (whether a card with pre-stamped envelope, postcard, or online response request), and an additional details card (hotel info, other special arrangements like transportation if applicable, and so forth). There are “pocket folders” that can house these items for couples who prefer not to have them loose in the large envelope, as well as other decorative items like belly bands and flowers. 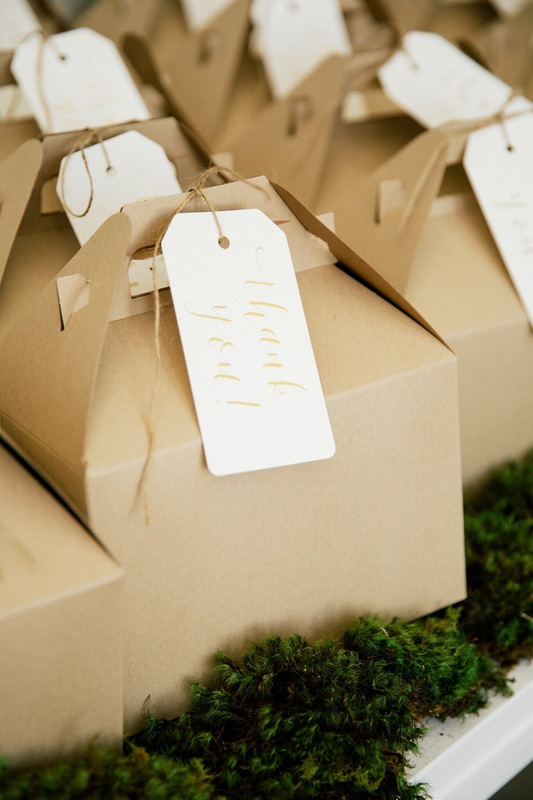 Wording: There are etiquette guidelines on what to include in your invitation should you need a little guidance. These are often very helpful for brides looking for a traditionally worded invitation. The couple makes the ultimate decision, yet often families (or whoever is footing the bill for the wedding) want to have more input on the invitations compared to the Save the Dates. 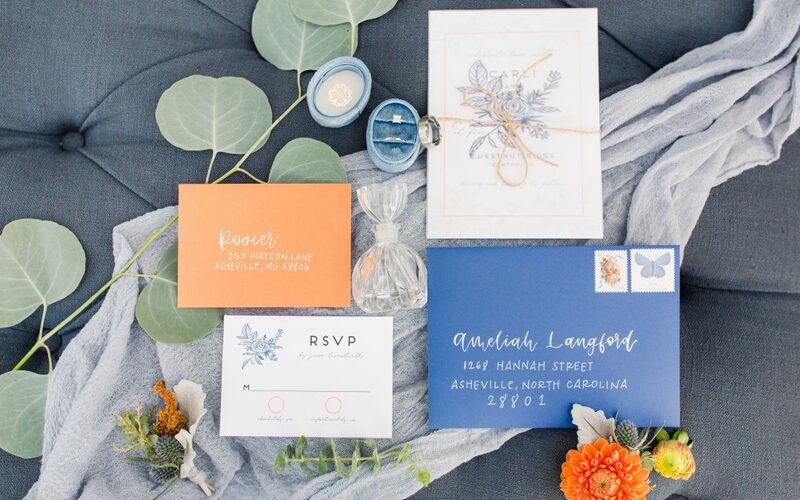 The primary function of the envelope is to get your beautiful invitation suite to the proper guest — which implies having the proper address to mail it to! Couples should triple check their address list prior to submitting it to their calligrapher. It’s not likely a calligrapher will know the wedding guests personally, which means they won’t inherently know the bride meant to write MA instead of ME. Calligraphers will write EXACTLY what is on the list, so be sure it’s correct. Addresses: Calligraphers will need a fully formatted and triple-proof-read address list — this is of the utmost importance! Excel spreadsheets are NOT recommended for envelope addressing. Rather, calligraphers prefer couples to format their list exactly as they want it written on the envelopes to prevent a design error. For example, if couples want the addresses centered on the envelopes, the addresses should be centered on the list they provide. Also, invitation suites contain inner and outer envelopes. Outer envelopes are typically addressed formally (i.e. Mr. & Mrs. John Smith, Dr. & Mrs, the Honorable, etc.). Again, there are traditional etiquette guidelines on which a calligrapher can provide clarity. Inner envelopes use the “familiar” names we actually call our friends and family, such as “Grandma” or “Mike.” This is also a great time to explicitly let them know who is invited by using names instead of “guest” and “family.” This helps if you’d like to keep your wedding reception kid-free. Pricing: Envelope calligraphy is typically priced per envelope with additional flat fees added for specialty envelopes (think: metallic) as these can be harder to write on, require more drying time, etc. Custom ink colors and handwritten pre-addressed return envelopes may come with an additional charge as well. Some couples feel strongly that the return address match the outer addresses in style. A great way to ensure they do is to have the calligrapher letter out the couples’ return address and have it made into a stamp. These types of signs — including welcome signs, menu boards, gift and card signs, and so on — come along much farther down the timeline, so it is not essential to nail these down early in the timeline. 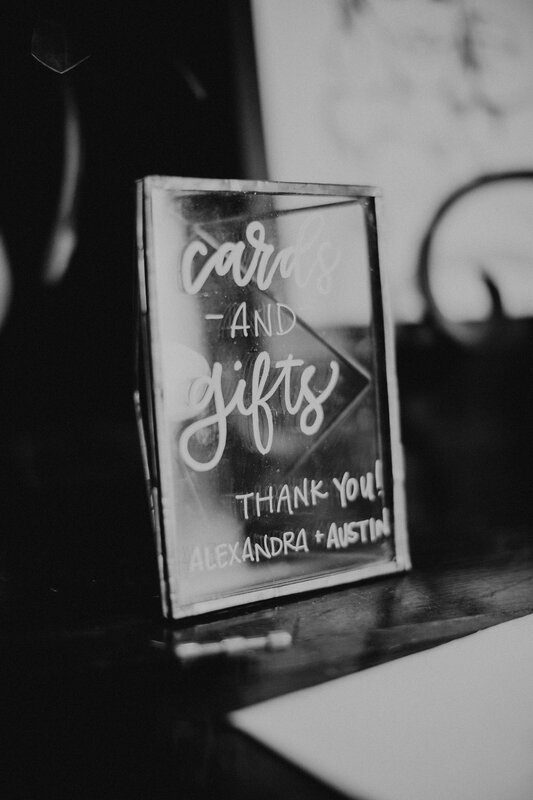 However, for any couples who already have a general idea of what they want, it’s always recommended to let the calligrapher know as early as possible. Yes, it’s possible to accommodate late requests in some circumstances. However, three signs versus ten is a big difference in the amount of labor required, which will affect delivery times and, of course, the contract amount. Depending on workload, many calligraphers charge a percentage fee for projects requested less than two weeks in advance. 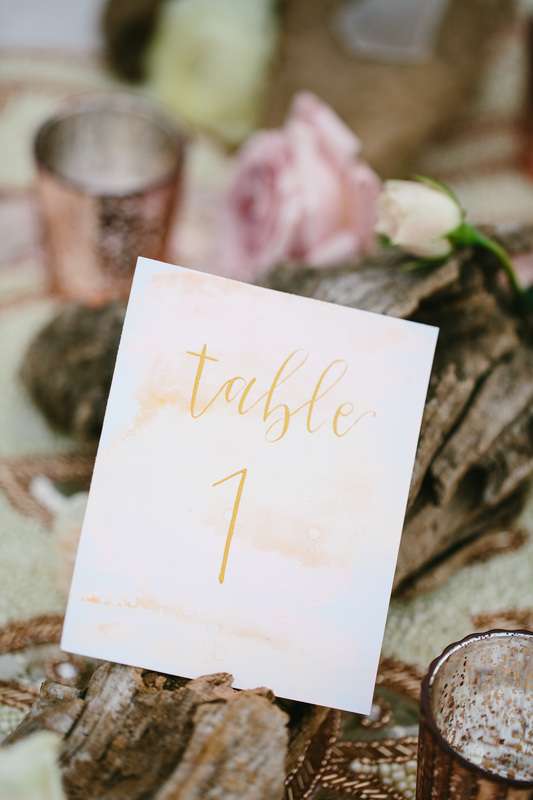 While calligraphers never tire of hand-lettering traditional wedding documents and details, we love exploring out-of-the-box ideas and writing surfaces! Don’t be afraid of going non-traditional if that’s your style, or creating a unique wedding detail that helps tell the happy couple’s story. From marble place cards, to vellum invitations, and giant balloons, almost anything can be written on given enough time to experiment! DIY-er? Take A Class First! Are you interested in taking a DIY approach to save money or to flex your creative skills? I teach workshops in the Asheville, North Carolina area! From chalkboard lettering to envelopes and pointed pen, I offer classes spanning a variety of hand-lettering styles. 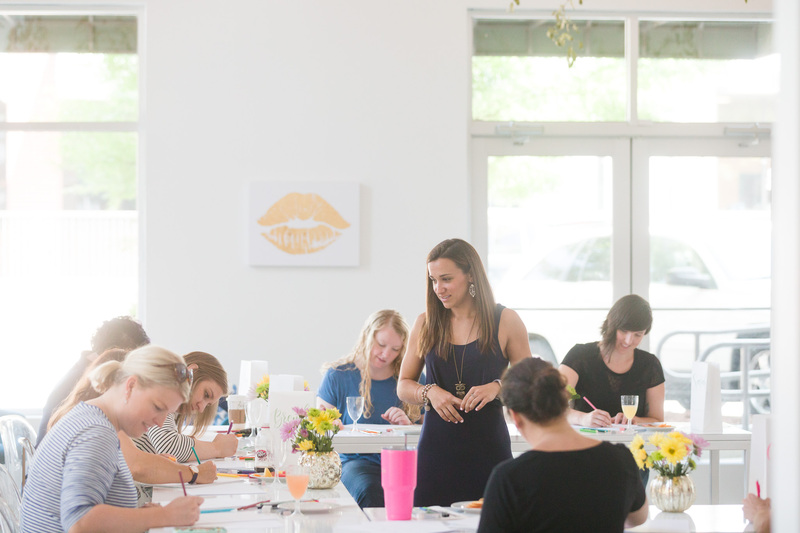 Come learn the basics to incorporate your own lettering pieces into your special day! My next workshop is THIS Saturday from 10AM-1PM at Engaged Studios! 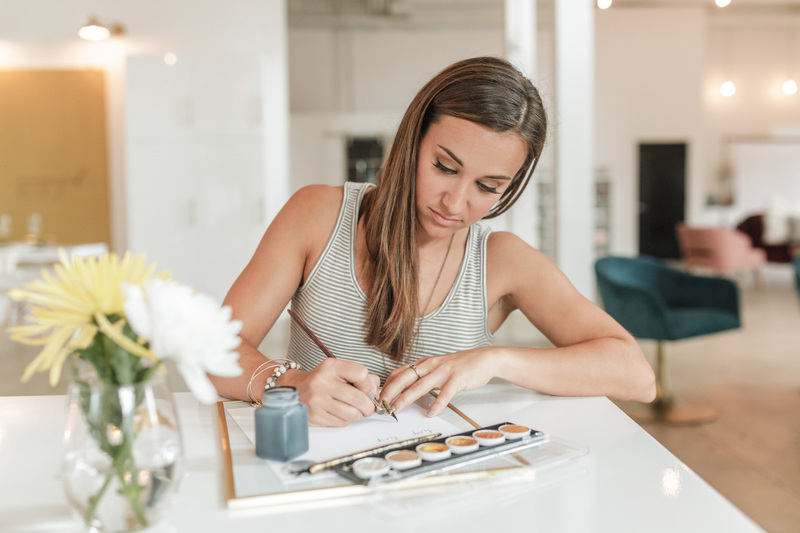 I’ll be teaming up with another local calligrapher, Bethany Joy Art, to teach a few basic and next-level calligraphy skills along with some abstract painting techniques to create a beautiful background for your design! You can find all the details on this three-hour course on the official event page. To stay updated on all of my course offerings, check out the Workshops page on the Joy Unscripted website. I also announce all upcoming events on my Facebook page. Bethany Thames is a 28-year-old Georgia native (with sweet tea drinkin’ southern gal roots), who moved to Asheville at the beginning of 2016! While living in Atlanta, she completed her Biomedical Engineering degree in 2010 at Georgia Tech (go Jackets!) and fell in love with CrossFit. She quickly became a trainer and while managing a gym in town discovered her interest in Marketing. Bethany began working for an Atlanta-based startup company in 2014, where she expanded her marketing interests into Product and UX Design work, loving to sketch new design concepts for websites and company product enhancements. 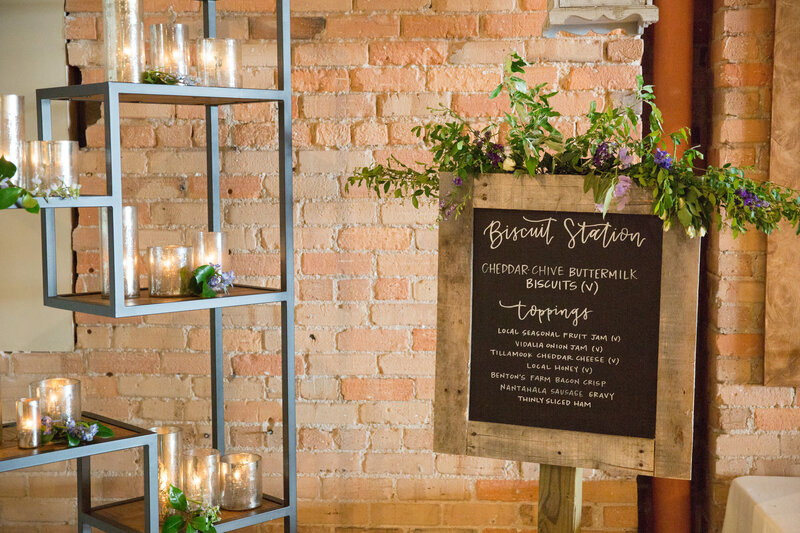 After several family members requested hand-lettered signs for weddings, she began exploring the creative world with a different eye, as a potential business opportunity. 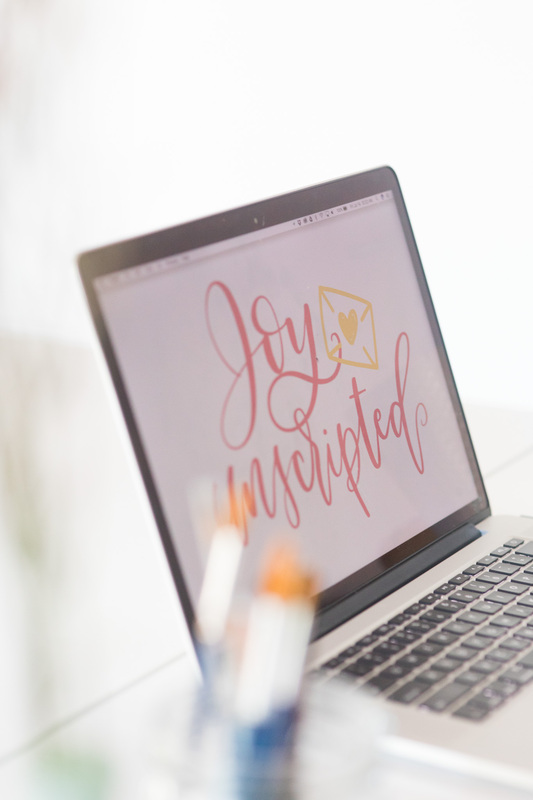 And finally, following several successful side projects and custom works, Bethany officially launched Joy Unscripted as a Calligraphy, Hand-Lettering and Design business in April of 2016. She loves working with clients to help them discover their true style and find the perfect piece to accent their special day or new room decor! To learn more about Joy Unscripted or to contact Bethany, please visit her website.